Get the waist you want! 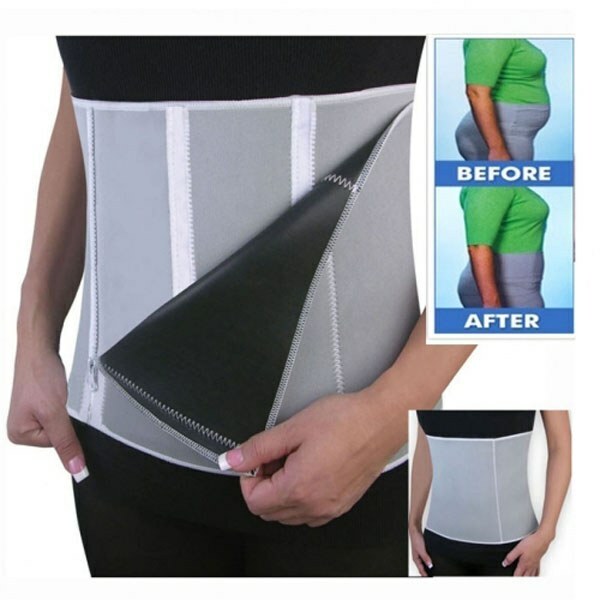 Trim inches off your waist with our adjustable slimming belt! Unique zipper design slims and trims your waist instantly. Sauna action helps shed excess water as you exercise. This slimming belt definitely does what it&apos;s intended to do and helps you sweat off that excess water weight. It gives your exercise a boost by increasing your sweating in the abdomen. I love that this belt comes in a larger size because those "one size fits all" belts most certainly do NOT fit all. This belt is also longer than other slimming belts, which means it covers a larger area, making you sweat more since more of your stomach is being covered by it. However, I wouldn&apos;t recommend wearing this for long periods of time. I only wear it while I&apos;m exercising now. I first tried wearing it for an extended amount of time, but it made my skin itchy and gave me a slight rash. As long as you aren&apos;t in it for too long, though, it&apos;s perfect! this thing is huge, it barely fits me on the smallest setting and i am 5&apos;6" 270. make sure you need one this big before you order it.